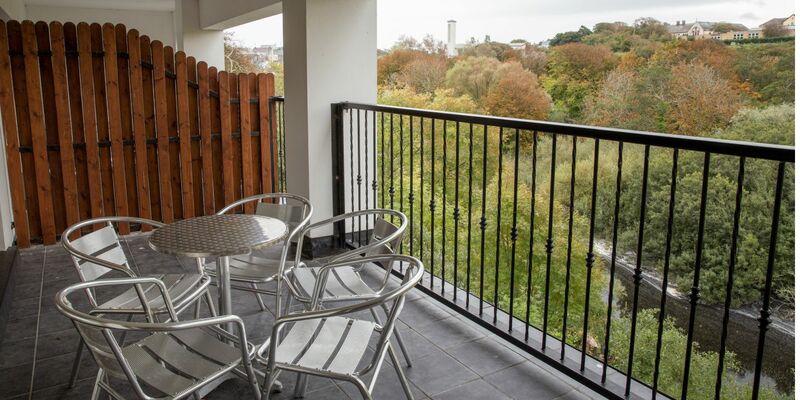 Our nine self catering apartments are located above the River Spa and Aqua & Fitness Club and they all have wonderful views over the River Inagh. 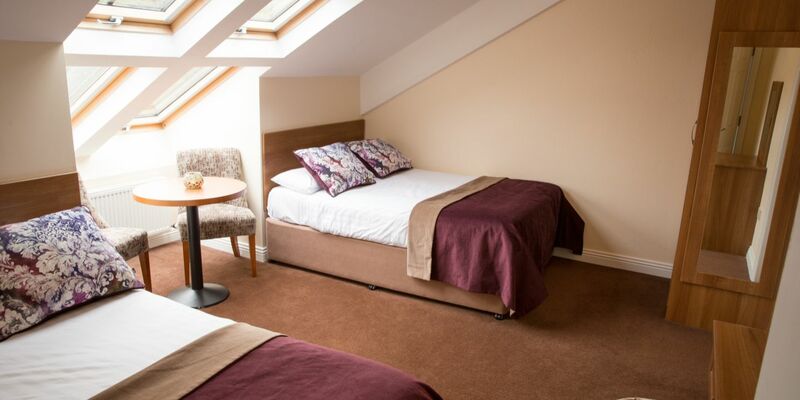 Each apartment has two double en-suite bedrooms, one containing two double beds and the other containing a double and a single bed. 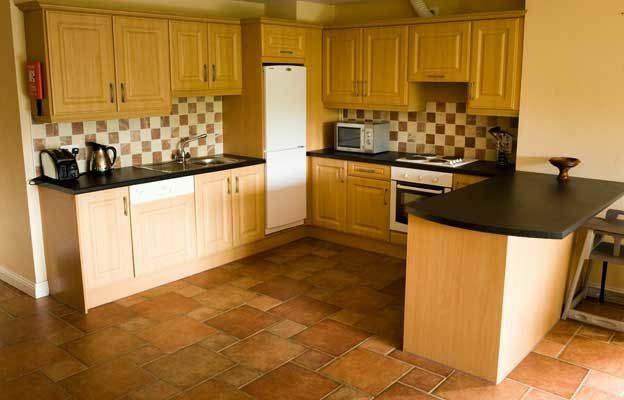 They have an open plan sitting, dining and kitchen area plus a utility room with a washing machine and dryer. Four of the apartments have balconies while five apartments do not. 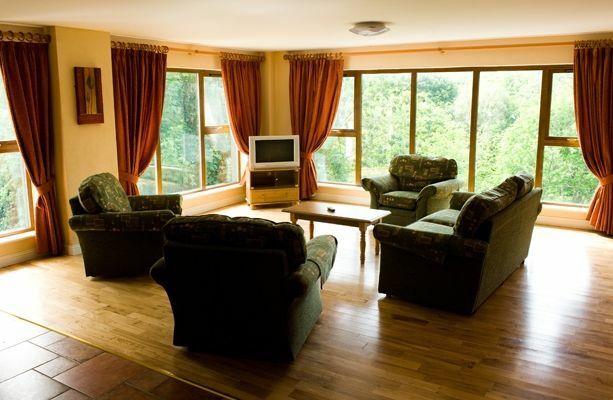 Please note, the lounge areas in the apartments without balconies are slightly bigger. 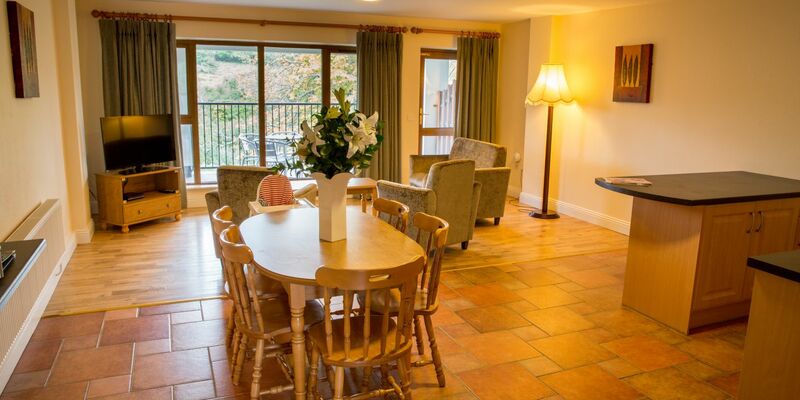 The apartments can sleep up to seven adults and are available to rent on a weekly basis in the summer from Saturday to Saturday. 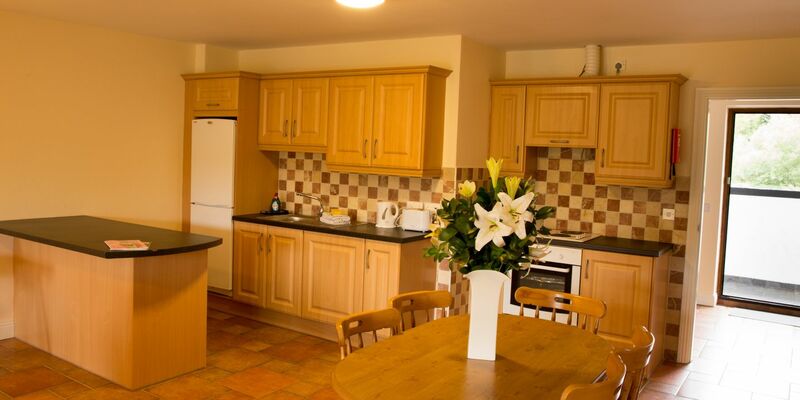 During the winter period they are available for weekend and short term rental, with a minimum stay of two nights. Rental of these apartments includes complimentary access to the hotel's Aqua & Fitness Club. The club is open Monday - Friday from 7am - 10pm and Saturday & Sunday from 8am - 9pm. Please note that these apartments are only accessible via a flight of stairs, therefore they are not wheelchair-accessible.